I offer workshops / classes for beginners and advanced Reiki students alike. There are three levels of Reiki. Reiki I is intended for students to be introduced to Reiki and learn the basics so they can begin their own personal healing process, and also practice on friends and family. Reiki II allows the student to begin a professional practice if he or she desires so, but many who wish to only practice Reiki on a personal level also enjoy this level. It increases the amount of Reiki that flows through the practitioner's hands, and also allows the student to begin to send Reiki long distance as well as through time (forward or backward!). There are three Reiki symbols that are introduced at this level. A student will often want to practice what he or she has learned in Reiki I for a month or longer before taking Reiki II, though exceptions are sometimes made. Reiki III is the Master/Teacher level, and is not to be taken lightly. This is the level of Reiki that is a deep commitment to the practice, both for the student's own healing as well as for others. This level is by invitation only, though I welcome my students to please let me know if they have an interest in pursuing this level. I enjoy helping guide them through the learning stages until they are ready to embark upon the Master Reiki level. It is generally a good idea to wait at least one year after Reiki II before the student is ready for the Master level, and often longer. I do my best to be a responsible teacher and not allow the student to pursue this level until I feel confident that he or she is ready. I teach both Reiki levels I and II long distance if a student is interested. Reiki III may be taught partially long distance but the student would have to travel to the Charleston/Ladson area at least once to complete this level. Please email me if you are interested in my long distance learning courses! Are you searching for self-healing? Do you feel that you have a healing gift? Are you interested in learning to heal yourself and / or others? Have you heard of Reiki but would like to learn more? If any of these applies to you (but not necessarily all!) , then perhaps this workshop is for you! We'll spend two evenings from 7 - 9:30 pm, learning about Reiki from a beginner's perspective. No experience necessary, and healing gift is not required, though many people who have this gift are drawn to Reiki. You do not need to have any healing ability to learn to practice this ancient healing art. Reiki is for anyone who wants to better him or herself, who wants to help to heal others or even to help to heal the world! 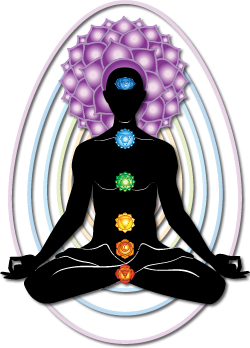 the different levels mean, methodology, and the chakra system and how this relates to Reiki. In Session 2, we will learn the basic hand positions, expand our studies of the chakra system, and each student will receive a Reiki I attunement. We'll then have a chance for practice on each other! The attunement will give each student the ability to channel Reiki healing energy to him or herself, as well has the student's friends and family. I am a certified Reiki Master / Teacher, with 16 years of Reiki experience and 39 years experience in general energy healing. My classes are small so that I can give very individualized attention, and answer as many questions as possible. A typical class consists of 3-4 students, though there may be as many as 6 (never more than 6) . Please email me if you should have any questions! Sign ups will be taken until one week prior to class date, but if it's closer please email me if you are interested in case there are still any available spaces. Total cost of the 2-evening workshop is $165 per person. If you have questions or are interested in participating, please email Jenni ! If you are interested in a private, one-on-one workshop, please sign up here! New Dates TBA - please email or use signup links below if interested! Reiki II is for those who have already completed Reiki I, and who have an interested in furthering their Reiki practice. Reiki II enhances the amount of Reiki that the student is able to transmit, and also teaches and attunes the student to the first three Reiki symbols used in the healing process. Reiki II is appropriate for anyone wanting to further their Reiki training, including those who are interested in practicing Reiki professionally. It is highly recommended for massage therapists, nurses, or anyone else already in the healing fields. Session 1 will include a brief recap of Reiki I, and will also cover the three symbols. Students will practice the symbols and practice how to apply them while using Reiki, including the distance symbol which allows the practitioner to send Reiki long distance. It also allows the practitioner to send Reiki to different time periods - in the past and the future! Students will learn various applications of using this symbol, along with a fun exercise. Session 2 will include a discussion about Reiki guides, and a guided meditation to assist students in meeting their Reiki guides. It will also include the Level II attunement, and following the attunement students will each practice sending Reiki to a loved one that is not present. Jenni is a certified Reiki Master / Teacher, with 16 years of Reiki experience and 39 years experience in general energy healing. My classes are small so that I can give very individualized attention, and answer as many questions as possible. A typical class consists of 3-4 students, though there may be as many as 6 (never more than 6) . Please email me if you should have any questions! Sign ups will be taken until one week prior to class date, but if it's closer please email me if you are interested in case there are still any available spaces. Total cost of the 2-evening workshop is $210 per person. Spaces are limited, sign up now (minimum 3 people, maximum 5 people for this workshop) with a deposit of $100 (balance due at time of class). Reiki III, also known as the Master/Teacher level, is not to be undertaken lightly. It is generally recommended that a student wait at least one year, sometimes longer, upon completing Reiki II before a teacher invites you to take Reiki III. If you have studied Reiki II with me, and are interested in pursuing Reiki III, please let me know. Reiki III is intended for those who wish to make Reiki an important part of their lives. It enhances the amount of Reiki that can be transmitted, and teaches a symbol that also strengthens the Reiki. Reiki III also teaches the student how to teach Reiki, how to give an attunement, and includes the attunement that allows the student to pass Reiki along to others. If you have taken Usui Reiki with another teacher, but have relocated or are no longer working with your past teacher for another reason, please feel free to contact me. I would like to spend considerable time with a student who has studied under another teacher before considering him/her for Reiki III. Jenni is a certified Reiki Master / Teacher, with 16 years of Reiki experience and 39 years experience in general energy healing. Reiki III is generally taught either one on one, along with an assistant for the student to practice attunements with, or sometimes in very small groups of 2-3 students if I have more than one student ready at the same time, who seem like good fits with one another for the class. I will never have more than 3 students in a Reiki III. Two Evenings - dates TBA, 7 - 9:30pm - click the signup button below to register, or email if you're interested but have questions! Two Evenings: Dates TBA, please email if interested! 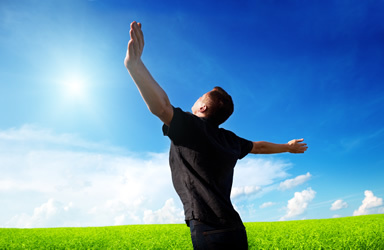 You must have had Reiki I training and attunement before taking Reiki II. If you have studied Reiki I with another teacher, you are welcome to join this class, but I will need to speak with you and perhaps meet with you at one of our Reiki Shares first, to assess what you learned so far. Reiki III, which is also the Master / Teacher level, is traditionally done by invitation only. If you have studied Reiki II with me, and are interested in Reiki III but I have not invited you yet, please let me know if you are interested via email, as you may just need a bit more fine tuning of your existing skills. If you have taken Reiki II with another teacher, and that teacher is no longer available or you have relocated to the Charleston area, please contact me and I would be more than happy to discuss your working towards your Reiki III with me. I would need to spend some time with you in Reiki Shares and one on one to ascertain what you've learned thus far, and also to determine if you are ready for the profound changes that Reiki III brings.